White Michiganians or Michiganders are people identified or identifying as white or primarily Caucasian or of European ancestry in the state of Michigan. The United States Census Bureau defines white people as those “having origins in any of the original peoples of Europe, the Middle East, or North Africa. It includes people who reported “White” or wrote in entries such as Irish, German, Italian, Lebanese, Near Easterner, Arab, or Polish.” Writer Edna Ferber was born in Kalamazoo, Michigan. Novelist Edna Ferber was born August 15, 1885, inKalamazoo, Michigan, to a Hungarian-born Jewish storekeeper and his Milwaukee, Wisconsin-born wife, Jacob Charles and Julia (Neumann) Ferber. The White – Michigan population data represent DNA samples from 80 Caucasian (White American) individuals in the state of Michigan. Samples were provided by the Detroit Police Department and the Michigan State Police, with help from the Illinois State Police. 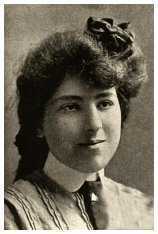 Photo: Edna Ferber (1885-1968) from library archives. Public domain.